1 . Are physically, mentally, and emotionally fit. 2 . Have a high degree of self-reliance as evidenced in such qualities as initiative, courage, and resourcefulness. 3. Have personal and stable values firmly based on religious concepts. 4. Have the desire and skills to help others. 5. Understand the principles of our American democratic society and apply them. 6. Are knowledgeable about and take pride in their American heritage and understand America's role in the world. 7. Have a keen respect for the basic rights of all people. 8. Are prepared to fulfill the varied responsibilities of participating in and giving leadership to American society and in the forums of the world. 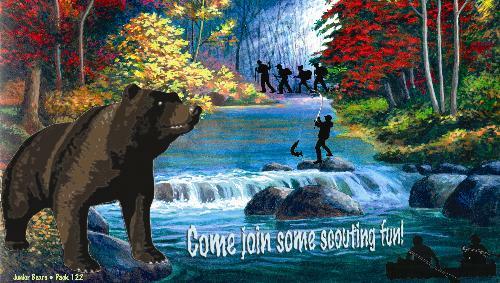 To learn more about the scouting program sponsored by New Monmouth School, please email nmpack122@gmail.com. Children in grades 1 through 5 are eligible to join.